Attention! Mi Muba wants you To Be A Money Blogger! →Attention! Mi Muba wants you To Be A Money Blogger! Today, I have a veteran and someone who will help you make money as a blogger. Someone you absolutely should connect with as a blogger. He’s my first featured blogger this month of August and I’m happy to have known this guy. NB: Every week, I feature a blogger here on this blog. My reasons are just to bring together exciting bloggers so we can network and learn from each other. What is blogging without meeting with new people? Blogging has completely changed in the past recent years. It’s become a complete business and social growth tool. That’s why meeting and connecting with new experts is so crucial. Mi Muba is a veteran media professional with 20 years multiple experience of public relations, media management, event management, public awareness, social media marketing, content marketing, journalism and blogging. “Become your own publisher” is the basic idea behind his joining the field of blogging three years ago when a few newspapers of his area refused to publish his articles on capital market awareness. 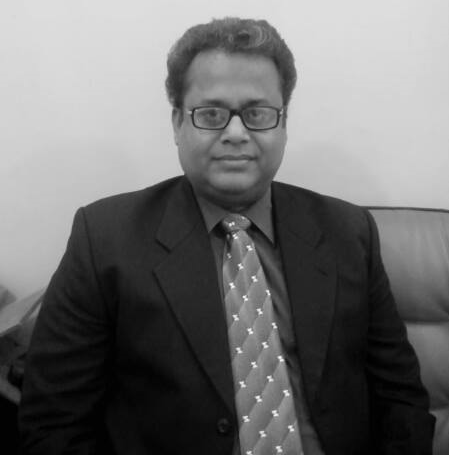 In his previous twenty years of professional experience he has served at fifteen various positions in mostly local organizations as a school teacher, college lecturer, university professor, public awareness specialist, media specialist, public relations consultant, go green advisor, newspaper reporter, television stinger, translator and ghost blogger. He has not been in much limelight in blogosphere because he spent his initial two years in the field of blogging as a ghost blogger. His one thousand posts were published at two UK based blogs as a ghost writer during those two years. He has also been published as guest blogger at several blogs of high PR including ShoutMeLoud, AllBloggingTips and MyBloggerLab. He has been blogging for the last three+ years and now making his full-time living from his green blog where his main sources of income are Google Adsense and green events promotion. Be A Money Blogger which he started six month ago. Pollution Pollution a PR2 blog on green living that he started 2 ½ years ago. Sarmayakar (it means investor) a blog in local language Urdu on capital market awareness. He has been regularly updating it for the last 3 ½ years. He also offers his free blog consultancy services to build green blog and also fully guides selecting a niche from any field of the green sector. He also offers his services as content strategist to non-profit organizations and local green businesses of his area. Having financial educational background with degrees of Masters in Commerce and Masters in Economics writing on money blogging is not a big challenge to him. That is why he explores quite unique topics which you can see at his blog. Do you know how you are dumping your each blog post? How to convert these 14 types of blog visitors? Being first time featured here as a money blogger he expressed his pleasure by giving a free ebook Build Your Niche Website Today to all the awesome readers of this blog. It otherwise is being sold at $20.45 at Payloads. Here is the link of his ebook which you can download FREE even without submitting your email. He says sometimes it is good to work like this. It is not a demise of professionalism that you don’t have to even submit your email here. It’s just an expression of his pleasure on being here at enstinemuki.com. His another ebook is about to publish very soon which he will offer to his blog readers free as a gift to develop long-term relationship with them. So just visit his blog and read more wonderful posts on money blogging with clear vision to learn earning money with your blog through multiple ways. Mi is a constant reader and commenter on this blog. So be sure to get his replies as I’m sure you’ll interact with him in the comment box. I don’t have words to express my gratitude to be here as a featured blogger. Maybe you don’t know I have also another honor to be linked here at your blog first time after I started my money blog. So two times hats off to you. It is a candid fact that now without strong networking with fellow bloggers and connecting with more and more peopole online, simply SEO sort of things are not going to give a big boost to a blog alone. Here being as featured guest with your awesome blog’s community what benefits I will reap is an open secret. This is the changing scenario of blogosphere now we interact with each other so much so that even we intorduce each other to our wonderful readers also. Earlier I was ardent supporter of publishing least to maintain quality. But afer watching publishing of highly quality posts frequently in a week here at your blog I came to believe it ups to the quality control skills of a person also how much he can publish without compromising on quality. You are doing both quality and quantity impressively. Once again thanks a lot for giving me this great honor that really is a source of big reference for me to highlight my achievements. I just came back from a busy day and thought I should give you a shout out here on this post. You mentioned correct person here, i am following Mi Muba from a long and i have visited almost all his post which are really long and feature each and every thing about he wrote. Surely he is going to be one of the Top blogger to teach how to make money after you. I am glad to know you regularly visit my blog and have read most of its posts. It encourages me a lot to work harder. Thanks for your great expectations about me. I am regular visitor of Enstine’s blog and learn a lot from here. Glad you got featured in Enstine sir’s blog, Congratz. I was unaware of your previous job details and just now I came to know about your earlier profession(s). I would say that you’re truly an inspiring person with unique thoughts and you’re displaying the same in your blog. I am seeing you everywhere in the Blogosphere and sometimes got motivated through your long comments. Good to know that you had published an eBook, will check the details. Thanks Enstine sir for bringing the exciting bloggers to network with them. This is the wonderful world of blogging where we get familiar with each other despite being miles away offline. I am regular reader of your blog and previous day found a very informative interview post there. It is very nice of your great words on my online presence and it surely motivates me to keep working with more dedication. I would love to get your feedback on this ebook and this is gift for all the awesome readers of Enstine’s blog who honored me to be here directly talking to you. Thanks Enstine and congratulation Mi Muba. Really Mi Muba is an efficient blogger and I am a regular visitor of Be A Money Blogger. I have got lots of blogging related tips from this blog. Thanks again Enstine for sharing Mi Muba’s blogging journey. That is your high spirit of online being that you mentioned me in your comments with such great words. It’s very encouraging for a struggler when he gets such wonderful views about him from his good friends. Mi Muba sir is the most recognizable writer who has 20+ years experience. Whatever he writes get brand. Mi Muba sir is not only a good writer but also a nice human being who always encourage new bies for their work and motive them to go ahead. He shares his true hard work and situation with failure and success according to his experience. Thank You Enstine sir to make us so much aware with details about Muba sir .Before your post I was little bit unaware in many aspect about Muba sir. How lucky we all online strugglers are that we easily get to know each other through awesome online resources. Our motivation to move ahead actually keeps connecting us with more and more good people around. Thanks a lot for you great words about me and I am thankful to Enstine who offered me this opportunity to make my intorduce myself at a broader level. Thanks a lot for your stopping by and sharing your wonderful views here. I appreciate for what you have done. Giving opportunity for new bloggers like me by creating a podium whereby people can exchange knowledge with renowned bloggers. I am a regular visitor of Mi Muba”s blog. From there I have been able to get my hands on a motley of information, which I have implemented in my own blog. The initiative which you have taken, deserves to be lauded. Thanks a tone for it ,Enstine. I visited your blog just today and read your latest post there and also shared it at Twitter. It’s one of the most comprehensive posts on “how to become a blogger”. Thanks for liking my blog and sharing your awesome views here on this post also. Sometimes I am really amazed that how come a blogger like you belonging from the topmost echelon is so humble to give way to a newbie blogger like me Mi Muba, there is nothing but a heartfelt of gratitude for you. Thanks a million times for sharing this post on twitter. Congratulations!! Very happy to see you featured here in Enstine’s blog. You deserve it my friend. I know I knew you recently but you caught my attention with your well written educational posts!! I have known you just as a blogger but it is nice to learn more about you and your past experiences and all that you do now with your 3 blogs. Great job!! Keep up the good work and thanks for the free e-book and congratulations on publishing your next one. All the Best Mi Muba and thanks Enstine for the opportunity to get to know great bloggers through your blog. Enjoy the rest of the week. Thanks a lot for you kindest words. In offline world we meet to depart and depart to meet again. But how wonderful is online world where we stay connected. We have more than several online places where almost remain in touch all the time. How lucky we are? This is great blessing for me that soon after starting my money blog I got several wonderful friends and obviously you are one of them. Earlier through my green blog I already have a very vocal green community. I am so lucky. Always welcome and I hope you like my ebook . Thanks for the best wishes for my upcoming ebook. Wow, thanks for the gifts you’re giving us here. I love the way you’ve presented that, which is different than an interview. Different is good in my book. This really helps us know the person better. I knew Mi, but now I know so much more about him, and very impressed of all the things he’s done. I am sure that his days as a ghost writer are over and he’s becoming known more and more by the minute. I already clicked on that link to get the book 😉 Wow, lots of reading to do these days. Nice know more about Mi and thank you Enstine. Always welcome; I hope you would like the ebook. I am glad you liked my profile and it encouraged me a lot to improve my blogging further. Thanks a lot for sharing your views here about me also. Hello Mr. Muba my very good friend, am so excited to see you here. this has really opened my eye to know more about you.. This is more than an interview, I would love to call it “up close and personal” it so nice how Enstine came up with this, the arrangement, everything is perfect.. Thumps up man,,,, really cool !!! You are my good friend indeed and happy to be more familiar with you through this post. Strugglers in an offline profession meet with each other in a club or in business centers. We being online strugglers have the advantage to meet our good friends while sitting at home. It is awesome. I am so happy to see Mi Muba here on your blog. I’ve read his blogs and this man is a pro! He has a strong business mind and has a wonderful blog. Mi Muba always shares great value when I visit him. I am honored to be his blogging friend. What I like about Mi Muba most of all is that he is down to business. No hype…concrete articles with great value. I knew the first time he came to my blog…this is one intelligent man! I suggest that your readers follow him. I do and have learned so much. I can never forget the way you support my blog posts at social media. I got here another chance to thank you for this huge support. I am too, much more honored to be your blogging friend Donna and got huge inspiration while reading about you here when you were published as featured blogger. Credit goes to Enstine for conducting this useful series to introducing bloggers to each other. Sorry for being late this time, just having lots of connection problems, though glad to be here. I’ve known Mi Muba for a while now and it amazes me how he can manage his 3 blogs, each time I see a new addition. Not to mention the number of jobs he’s done earlier and each one of a different type. A few days ago a struggling blogger like me very vocally asked me that if I am really a money blogger how much have I earned so far with my money blog. I did not defend myself by telling him that it’s a start and soon after awhile I will start earning. Instead of that I very proudly told him a lengthy list of my awesome blogging friends – and you on the top of the list – and inclucated him this is my capital investment and I will get back highest return on it very soon. So what do you say? Am I really a money blogger who is talking to an awesome blogger also well known as a commenting queen and that too I am doing here being a featured blogger at the blog of a person who is not only a pro blogger but also widely famous for his PHP development skills. I am so happy and humbled to hear your views about me and will strongly say that is very kind of you otherwise I have a lot to learn from you, Enstine and all my other awesome blogging friends who never let me feel as if I am struggling alone here. I hope you will like the ebook. Thank you once again. Being a veteran is an expensive, dignifying, respectful and accolade rich attribute that is rare to be used on an individual. I commend Muba for being an accomplished veteran in his field, most especially on the green environment campaign. This is a strong and important fundamental that the global world needs to pay adequate attention to, because of emerging challenges in the health niches, pollution and of recent the ebola outbreak. I am still a young man, a qualified pain management specialist in the medical niche, and I must confess that I still have a long way to go to earn that respected name. Hats off to Mubi for embracing blogging, and for deciding to reach out and teach people the strategies on how to make money online. I am so happy to hear you appreciated my green blogging efforts. You know in that sector community is so vocal and never miss a chance to appreciate the good and condemn the bad. Many times movments are launched just on a slight green violation. You well pointed a serious environmental issue of ebola outbreak and whole green community both online and offline is much concerned about it. You are a young man and you have lofty dreams so now the main task is how you make your dreams come true. With your passion and consistency you will surely make it happen. Thanks a lot for your great words. Have a great weekend. I am so honored to be here at Muki’s blog as featured blogger. This is a big booster for me to keep working hard. Always welcome, I hope you would like the ebook. Great to see you here on Enstine’s blog! Congrats. I know what a treat it was for me to be featured two weeks ago. Hope you get a nice bump in traffic! Good to read more about you. And your free eBook offer is awesome. Well done! You are right; not only traffic boost but the response at social media I got after having been as featured blogger here is more than awesome. There is uending stream of likes and comments still going on at my main accounts. I hope you will like free ebook. It’s great to see you featured here on Enstine’s blog. This is a wonderful opportunity and I’m sure you’ll recognize some of these smiling faces on your blog too. You have an impressive career in journalism and you were a teacher too? (I’m amazed at how many of us were teachers at one time.) Both skill sets are serving you well in your career as a blogger! Many of us still don’t know the emergence of another powerful social media. It is commenting section of popular blogs. You would be surprised to know that except one or two all the awesome commentators of this blog including you have been at my blog as shown by commenting section of my blog. This is not because my blog is equally popular like Muki’s blog but this is because I am regular visitor of his blog and happily drop my comments alos. As a result I get familiar with other commentators here and they also visit my blog. That is why blog commenting section is another powerful social media. I have read your profile once you were featured blogger here and am quite happy to see this similarity between you are me; we both have been teacher awhile in the past. I like the fact that he focuses on making money, after all, that’s the bottom line isn’t it – if we are in this as a business, and not just a hobby. It’s great that you feature a new blogger each and every week and focus on only one – as the importance of good connections with like-minded entrepreneurs is essential in this day and age because we cannot do it alone, that’s for sure. Oh, I didn’t know he was a ghostwriter and offered services first…That’s great. A lot of folks start by offering services so they can earn as they learn. You mention his three sites are “personal” blogs, but aren’t they to make a profit so business? Your many points are directly addressed to Muki. I just want to thank you for your great words for me and express my pleasure on your being here at this post as we also have been good friends for awhile. I right now run my three personal blogs without any company ownership or any kind of partnership. Nor have I yet established any online company to run them. Just personally I am managing them. I hope you will like my ebook that is purely a gift to each visitor of this post. Thanks a lot in advance for resharing this post. I had the pleasure of getting to know Mi Muba for the past few months and one thing I notice, is that his blog posts are getting better and better. Each week he amazes me with the content he comes out with. Glad to see him featured here and I wish him nothing but success and more great blog posts. That’s very kind of you that you remember me. I am so glad you like my post. I will try to improve my posts further. After reading this short bio on Mi Mba, I no longer wonder where all his money making blogging ideas are coming from. With 20 years experience in publishing, Mi Muba is for sure a professional in the industry. Thanks Muki once again for another Superbowl. Thanks for this big compliment. Being an avid learner of blogging I try to improve my writing as much as I can. Rest I get by wonderful comments of my readers and friends like you. Awesome to see you featuring Mi Muba here. He is an all round great guy and an awesome blogger! This is especially shown by his wonderful gesture of offering his ebook to your readers. This is not something all bloggers would do! I once learnt from my teacher whenever you go to any new audience try to make them remember you after you come back from there. If you can’t influence them with your skills, at least give them a gift or freebie to make them feel how important they are for you. This I wanted to do here and your great words show perhaps I succeeded in my attempt. Thanks for your great words and have a great week. Thank you Enstine bro for having Mi sir here. Mi sir has been writing quality articles over time that has helped both new bloggers and existing ones do better blogging. Thats why the articles mentioned above are so popular. I have been to pollutionpollution a couple of times and you will be moved by the articles he writes on the green niche. His lot of experiences are helping us for sure and will keep helping us in the future too. I am regular visitor of your blog and one point that impressed me a lot is your consistency in blogging and networking at social media. It’s an inspiration for me. How to make money blogging with these 10 business tips? Mi Muba is an excellent blogger. I have gotten to know him more recently in the last couple months and he knows his stuff for sure. He surely shares valuable information on how you can earn money but also shares some good information about mindset. Mindset is a huge factor when it comes to being successful offline and online as well. When we have our mind right and use tips, tools and resources prodided by bloggers such as you and Mi Muba, we can get a lot of things accomplished. I have been relocating and haven’t been able to make my rounds here as often as I would have liked. I will catch up for sure. I hope all is well my friend. Read few posts by now on BeAMoneyBlogger and i just fell into a thought that why am i here so late, but better late then never. Thank you Enstine once more because i’ve so many other top bloggers, blogs and people here on your blog just because of you. It has now become one of my aim to get myself featured here on your blog just like these great bloggers.